From the annals of pernicious attorneys trying to wrest money from defendants by fatiguing said defendants and the US legal system in general comes the latest filing — or rather, re-filing — of a class-action suit against the original Full Tilt Poker and several prominent individuals long associated with that site. The lawsuit was filed on behalf of two defendants, former Full Tilt Poker players Lary Kennedy and Greg Amatoy. This latest lawsuit was filed in the Superior Court of California for the County of Los Angeles on Monday, August 14th. The lawsuit was filed by California attorney Cyrus Sanai, who has represented Kennedy and Amatoy while continuing to file class-action lawsuits against the collected Full Tilt entities, corporate and individual, stretching all the way back to 2009. Named as defendants in this rendition of the same ol’ damned lawsuit are Chris Ferguson, Howard Lederer, Phil Gordon, Andy Bloch, Phil Ivey, John Juanda, Erick Lindgren, Erik Seidel, Mike Matusow, Allen Cunningham, Gus Hansen, Patrik Antonius, all part-owners of the original Full Tilt Poker’s various corporate entities. Many of those entities are re-named here as corporate defendants, including: Tiltware LLC, Pocket Kings Ltd., Kolyma Corporation A.V.V., Pocket Kings Consulting Ltd., Filco Ltd., Vantage Ltd., Ranston Ltd., Mail Media Ltd., Oxalic Ltd., and Orinic Ltd. These are included despite the reality that they haven’t existed for years, all assets of the former Full Tilt Poker having been seized by the US government and sold to then-PokerStars parent Rational Group in 2012, as part of that site’s settlement with US authorities. Also named as defendants in this latest action are California attorney Ian Imrich, the Law Offices of Ian Imrich APC, law firm Cozen O’Connor, French investor Bernard Tapie, and Tapie’s umbrella investment entity, Group Bernard Tapie. Several of these defendants and corporate entities were added as defendants years after the filing of the first case on behalf of Kennedy and Omotoy, back in 2009. The lawsuit seeks $900 million in damages, plus interest dating back to last decade. The monetary claims include specific amounts of $10 to Omotoy and $120,000 to Kennedy, who years ago was involved in a controversial situation involving the banning of her account and the confiscation of funds therein. The remainder of the $900 million-plus would be awarded to the presumptive class, less significant attorney’s fees payable to Sanai. There is, however, a lot more to this story. The filing of this case in California comes after the nearly-identical federal case was dismissed just over one month ago, on July 14th. Sanai, the attorney representing Kennedy and Omotoy, also filed a motion on August 11th to have the federal case’s presiding judge, George H. Wu, to alter his own judgment in the case, which was to dismiss the case. Wu’s ruling duly noted that while Full Tilt Poker had indeed conducted illegal online gambling business, the lawsuit offered no specificity as to any damages. In response, Sanai not only filed the federal motion asking Wu to vacate his own order, and then order new briefings and oral arguments. The case was moved to federal court in 2010 and has since seen over 220 filings, the large majority being motions, joinders and memoranda of various sorts filed by Sanai. Here’s the kicker: The third amended complaint (TAC) in the federal case is almost identical to the state-level case filed by Sanai in California earlier this week. The plaintiffs, defendants, and damages sought are exactly the same; in fact, the latest California filing includes page after page after page of allegations copied word for word from the federal case in which Wu ruled last month. Given that that federal case is in essence the same case that was removed from California to the US’s federal system back in 2010, this very arguably is an attempt by Sanai to retry a case already ruled upon in California via its removal to the federal system. While it is technically true that some defendants were added to the original case after its removal to the federal system, the original California filing allowed for that via its inclusion of up to 60 “John Doe” defendants. Another supposed difference might be that the federal case lists six causes of action, including a federal RICO (racketeering) allegation, whereas the latest California filing lists just five. However, that’s comically transparent: Action causes five and six of the just-ruled-upon federal case, including the RICO allegations, were simply combined, word for word, as Count Five (Relief Under California Business and Professions Code Section 17200) in the Cali case. This latest California filing still includes comical present-tense allegations regarding various aspects of the original Full Tilt Poker’s operations. While it’s easy to see that stuff being carried forward in the federal matter, it’s … oh … six years out of date in this week’s California filing. 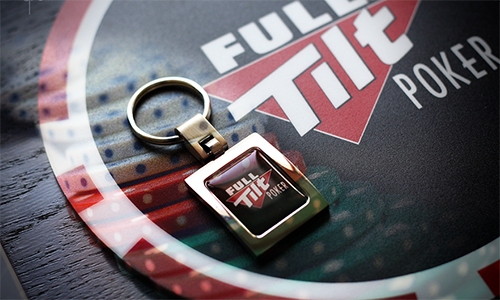 Whether this is as quickly tossed out as it deserves to be remains to be seen, and that’s despite the widespread antipathy and disgust much of the poker world (including this writer) has for the majority of the people behind the Full Tilt Poker. Cyrus Sanai, the attorney representing Kennedy and Omotoy, has been in trouble for similar legal shenanigans on other occasions. Sanai and his younger brother, Fredrik, both faced sanctions in a case involving the Sanais’ parents and the sale of disputed property following what must have been a highly bitter separation. Fredrik Sanai ended up being disbarred in two states (Washington and Oregon) over the pair’s ongoing and frivolous filings, which angered multiple judges forced to preside over the case. Older brother Cyrus, being licensed to practice in California, was not officially involved in the case, but repeatedly and in conjunction with Fredric, violated the judge’s orders. A lengthy opinion offered during Fredric Sanai’s disbarment proceedings before the Washington State Supreme Court — written and agreed to by four of that court’s judges — is a marvel of insight into how the Sanais have conducted their legal business. It is absolutely worth a read by anyone seeking to understand the motivations behind this continuing case. Here’s another marvel of a read, this one more directly involving Cyrus. Subjectively, this latest refiling, of what is essentially the same action in the Full Tilt Poker matter, appears to be another example of the same familial behavior. It’s also worth noting that Sanai served as attorney representing yet another plaintiff in a large case involving Full Tilt Poker, that brought on behalf of Florida-based Cardroom International back in 2010.